Winnipeg is home to some very special families who have the vision to make profound, impactful changes in our community. Artists in Healthcare would like to thank The Asper Foundation and The Gail Asper Family Foundation for their ongoing support of our live music and visual arts patient support programs .. we are sincerely grateful. “One good thing about music, when it hits you, you feel no pain,” sang Bob Marley. Songwriters may take poetic licence, especially where descriptions of their own powers are concerned, but there’s more than a little truth to Marley’s statement. Contemporary studies demonstrate music’s potential to ward off depression and lower stress-related hormones such as cortisol. This is a rather clinical way of expressing what the Ancients already recognized as music’s special power to bring “charm and gaiety to life” (Plato). More insightful perhaps are recent scientific discoveries that music may also improve blood flow and post-surgery outcomes and quite literally reduce pain. 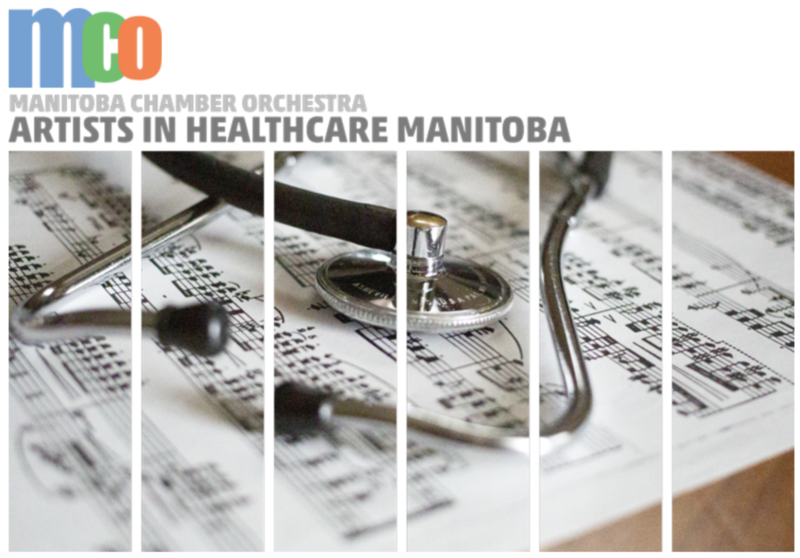 It’s with such knowledge that Artists In Healthcare Manitoba (AIHM) is proud to expand its programming with the Manitoba Chamber Orchestra (MCO) beginning this spring. AIHM provides arts-centric healthcare programming in facilities across Manitoba, while the MCO is known as “Canada’s, tiny perfect chamber orchestra” (Toronto Star). We think it’s a special pairing. Among those who will enjoy uplifting concerts through this collaboration are seniors in long-term care, patients and residents in hospitals and hospices, and mental health patients across thirteen Manitoba healthcare organizations. Funding for patient support arts programming is often outside of such organizations’ scope, and the MCO and AIHM are honoured to help fill this need through the support of Johnston Group and The Winnipeg Foundation. Musical styles performed will run the gamut from classical to pop—there will be something for everyone. 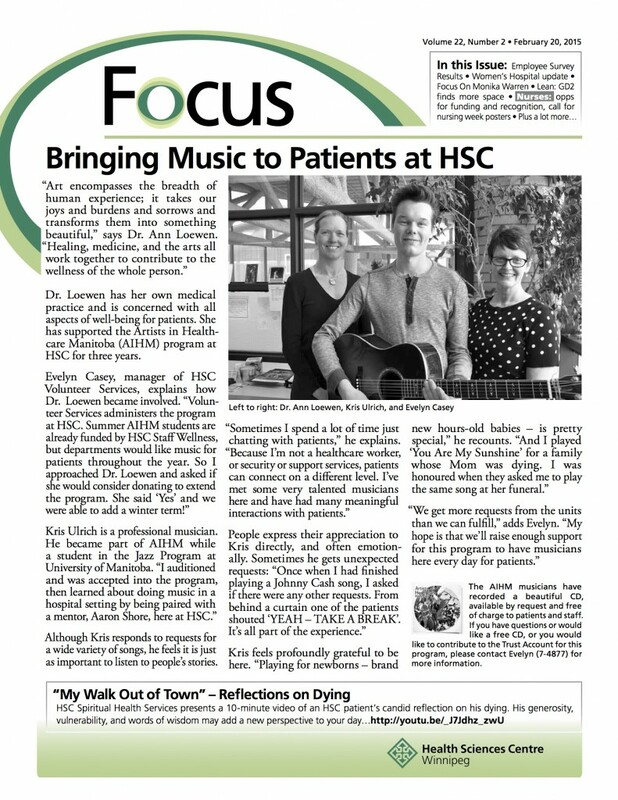 A priority will be performing Indigenous music for residents of Selkirk Mental Health Centre, in accordance with the traditional emphasis in Indigenous culture on the need of music for healing. Benefits of this program will extend beyond healthcare, helping to keep Manitoba musicians performing and connected to local audiences. Administrative costs will be kept exceptionally low, with 90% of the program’s budget going directly to participating musicians. The Manitoba Chamber Orchestra and Artists in Healthcare Manitoba thank both Johnston Group and The Winnipeg Foundation for their generous support of this collaborative program. In the past year, we were delighted to see the work we have done at Selkirk Mental Health Centre culminate in a Sarasvati production held at the Asper Centre for Theatre and Film. 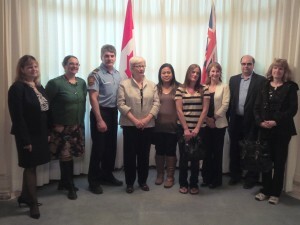 The production also toured Manitoba high schools, doing important work to open communication addressing the stigma and marginalization associated with mental illness. in the Grace Hospital Cafeteria for a launch event and refreshments. 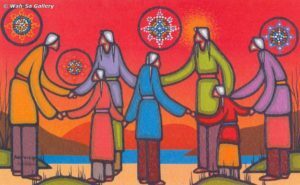 Artists in Healthcare Manitoba today announced the launch of a program that will see artwork collected for display in various health care facilities across the province. The program is straightforward. Artists in Healthcare Manitoba seeks out and collects donations of art. Donors receive a charitable tax receipt and if they wish, can specify a health care facility for their donation. 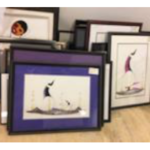 Artists in Healthcare Manitoba assures that the art is properly appraised, that the subject matter is appropriate and that the art is suitably framed and behind glass. Once that art is received by a health care facility, they are free to display it, or can even sell it at a charitable event or via consignment. The art is provided to the facilities free of any encumbrances. 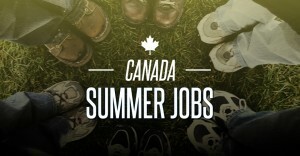 Participating facilities include; Concordia Foundation, Deer Lodge Centre Foundation, Grace Hospital Foundation, Misericordia Health Centre Foundation, Pan Am Clinic Foundation, Riverview Health Centre Foundation, Selkirk Mental Health Centre, St. Boniface Hospital Foundation, Victoria General Hospital Foundation and A Port in the Storm (a residence that provides accommodations for people coming to the city for health care). The program was created by Gary Scherbain, the long-time owner of the Wah-Sa Gallery, in collaboration with Artists in Healthcare Manitoba. 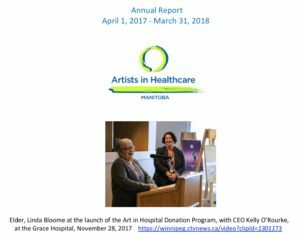 Artists in Healthcare Manitoba is a not for profit group that offers many services, including bringing art and music to the bedside in most health care facilities in Winnipeg. Please join us on November 28 at 10:30 am in the Grace Hospital Cafeteria for a launch event and refreshments. For more information please contact Jon Einarson at 204-837-0488. 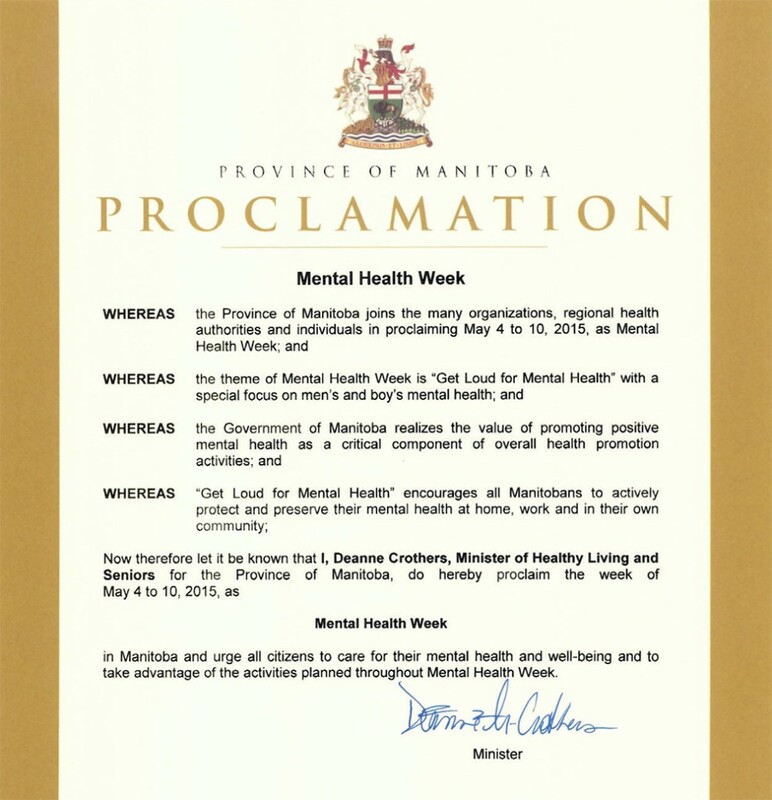 “I am pleased to attach the Province of Manitoba’s proclamation of Mental Health Week 2015 signed by Minister Crothers. Please post as you see fit. In the global society in which we live, the arts open pathways to understanding and communication between peoples. In addition, the arts are channels for creativity and celebration, mitigate the effects of stress and trauma, and are known to facilitate innovative spaces for emotional release. The arts can provide people a tangible result for their efforts in a relative short time, actions that can take place through individual or collective effort. This conference will feature arts based approaches initiated by Lesley University faculty and other international experts. Join us to circumnavigate the globe using the arts as our compass for exploration! For full workshop descriptions and presenter biographies, please visit the CONFERENCE WEBSITE. To register for this conference, please download the registration form at the bottom of theCONFERENCE WEBSITE and submit to Beth Chambers according to the directions on the form. You may also register by phone if paying by credit card by calling Beth Chambers at 617.349.8833.